With its untouched, mountainous geography and less than ¼ of the New Zealand population living there, the South Island is the perfect setting for filming an epic like the Lord of the Rings. It’s no wonder I couldn’t help myself while road tripping around the region. Everywhere I looked I could envision orc battles, hobbits having second breakfast, and elves and men riding their horses across vast landscapes. I sought out many of the South Island film locations with my equally nerdtastic travel companion, Carolina. Some were easier to find than others and some were less accessible than others. But in the end, we visited most of the locations completely independent from any paid tours—and we had great adventures of our own finding them! So we drove onto the Chard Farm Vineyard and walked over to the general area where the crew set up all their gear to film shots of the fellowship riding their little Elvish boats up to the Pillars. We had to hop the fence of another farm to get to the exact filming spot for this location Arwen's chase scene. We parked Frogger on the dirt road and then scurried over to the area with the thick trees. This is the location where Arwen was chased by black riders while carrying Frodo to the Ford of Bruenin. The area was littered with huge pine cones. They were everywhere! You can see one of them in the shot below. I wonder if they removed most of them or if they just hadn't fallen at the time of year they filmed this scene? This location was in a really cute town and is worth a visit even if you’re not a LOTR fan. We approached the Arrow River after crossing a stream in the reserve. There is a path leading back alongside the river. We weren't certain of the exact location, but this was the general area where Arwen was filmed on her horse waiting for the arrival of the black riders. 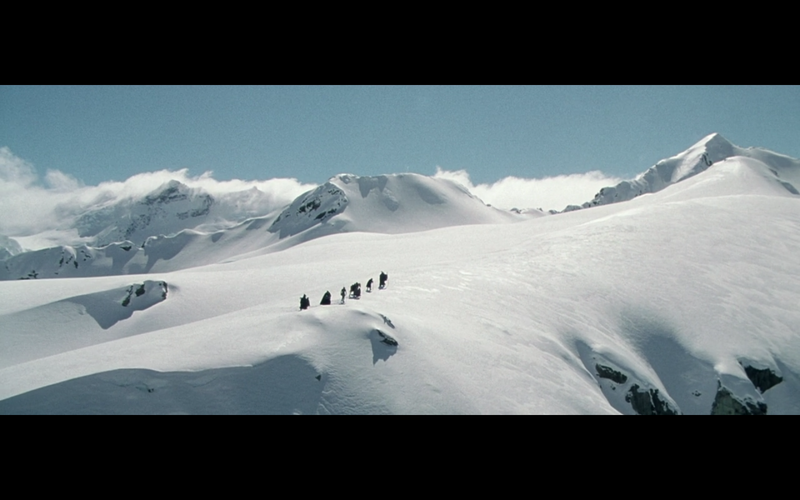 Film locations of the Misty Mountains were mostly aerial shots seen throughout the films. The Southern Alps were filmed for these shots and could be seen from the drive along the West Coast and all over the Otago region. We never paid to take a helicopter ride over them, but we saw plenty of them from the ground. Not much snow covered them in the middle of summer. Arriving at the reservoir we drove to the opposite side where we found some buildings. These were camouflaged as village houses for the film. 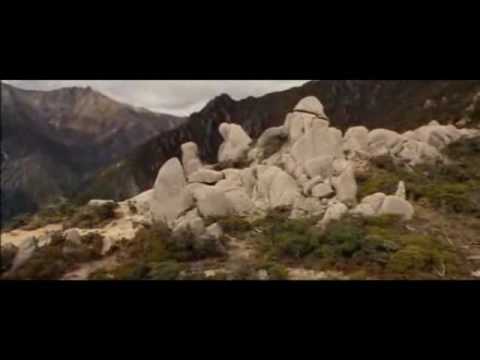 UPDATE 3/11/2017 - A reader, Liran, recently reached out to me looking to find the location of the famous "They're taking the hobbits to Isengard" meme before his trip to New Zealand. We knew it was filmed in this same general area. I tried to help him find it, but he figured it out on his own anyway! With the help of the woman who owns the land where Rohan was filmed, he recreated Legolas' famous scene (and more!). Well done, Liran! Check out his post and the accompanying videos here. We went to this location. They filmed Aragorn, Legolas, and Gimli riding up the side of the same hill Carolina and I walked up from the road to get to the exact spot. There's nothing like being in the exact spot where they filmed part of the movies. For one, you get to know what the experience of the actors and crew may have been like. If we hadn't gone we never would have known the annoying prickers and burrs they inevitably had sticking to their clothing. They were attached all over our clothing after only a few minutes here. Wardrobe must have been having a fit! Whenever I was asked why I wanted to visit New Zealand, my sarcastic response was "I just want to walk barefoot through Fangorn Forest." Okay, sarcasm is always a half-truth, right? I really did want to find where they filmed the hobbits getting picked up by Treebeard and the White Wizard meeting Aragorn, Gimli, and Legolas. Well, we found it. This forest was awesome with its moss-covered everything. It was exactly how I envisioned it would be. As the nerds we are, we tried to find the most Treebeardy-looking tree we could find to sit in. I think we succeeded. While most of the Fangorn Forest scenes with Treebeard were filmed in-studio in Wellington, some of the shots of the three characters moving through the forest were done in these wooded areas in farm country near Te Anau. The River Anduin is incredibly long according to Tolkein's descriptions and this is felt by the numerous locations for filming it all over New Zealand. I found a few of these locations on the North Island. And the Pillar of the Kings location is one of them on the South Island. Another, easy to find location is at a mid-point along the Kepler track. You can access the Kepler track at the Rainbow Swingbridge. Apparently most of the films' battles were shot in the field at this location, but more famously the battle at Minis Tirith. I can see why this field was picked with its expansive flat lands and endless stream of mountains as a backdrop. This is Middle Earth! This was one of my favorite film locations to find and visit on the South Island. You go down a side road seemingly forever (about an hour). It’s a pretty bad dirt road winding through farmland and countryside. At one point we hopped out of the car to save a hedgehog who was making its way across the road. With the tour vans plowing through here every so often, we thought he’d be better off on the roadside. Daww! As we drove along, a valley extended down to our right and steepened. We turned a bend in the road and suddenly we could see it: an enormous valley with mountains in a giant circle surrounding a mound/outcrop at its center. It was such a strange and epic geological sight. The mound is where the the set for Edoras—the Rohan capitol—was built (and since taken down). New Zealand calls the mound “Mount Sunday” because boundary riders from high country stations used to meet on top of this mound on Sundays. This area would be best visited in the winter or close to winter since the filming was done when there was snow on the surrounding mountains. We visited in the summer so the snow was all melted. The nerdy energy was still felt regardless. For instance, the Department of Conservation gave a nod to LOTR fans on informational signs on the hike up Mount Sunday. Aptly titled signage described the natural environment and creatures found in the surrounding area. Also, a surveying (“trigulation”) station at the top of Mount Sunday was covered in LOTR graffiti from previous visitors. There were some quotes and elvish symbols written. I was feeling all of the nerdy vibes up there. 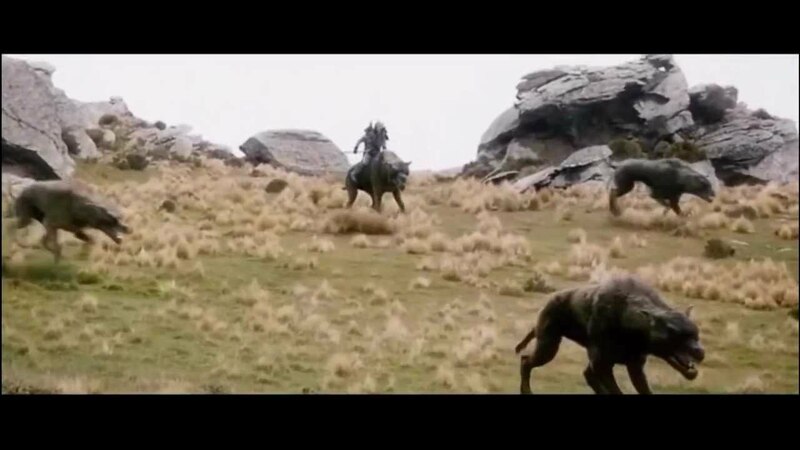 Surprisingly, the capitol of the "horselords" of Middle Earth had nothing more than heaps and heaps of cows. Mount Sunday is actually located on private farm property, but the farmers are keen to allow visitors to cross their pastures to explore Edoras as long as they shut the gates on the way through! On a rainy day, we made our way to Glenorchy then along the road to the Dart/Rees Track. A short walk in was said to be the filming location for the huge miniature (yes, an oxymoron) or set for Isengard and the entrance to the forest of Lothlorien. We should have known our efforts would be thwarted when the roads there were already flooding. Careful maneuvering of Frogger through the deeper parts eventually got us to the start of the track. Unfortunately, the track was closed due to parts of it being washed away. On the drive back out, Carolina and I stopped several LOTR tour buses coming through to inform the drivers of the closing. Apparently they didn’t even know about the closings. I felt a little bad for the people inside the bus who had paid to see it! Our efforts were not a total loss considering the fun we had maneuvering Frogger through the challenging road blocks on the way there. Plus, we were still able to snap photos of the mountains featured in some of the filming on the way. We were heading down the path toward this location when nature called for one us and delayed us to the point of no return. Somewhere up ahead we should have found the spot where the fellowship battled the orcs, Frodo resisted Boromir’s attempts to take the ring, and Boromir was shot with an Uruk-hai arrow. It’s somewhere here! We did go up a driveway that took us to a fenced off area behind the location, but an old man chased us out. He informed us this was a “private drive.” There were no signs saying so but we decided it was best to leave anyway! When I couchsurfed with Michaela who worked on the LOTR films, she told me about Mavora Lake being the location for this scene. Well, I went but it didn’t look right to me. So then I found out the scene may have been filmed at Lake Mahinapua. They possibly filmed the same scene at both locations and that’s where the confusion lies. Either way, I took photos at both. Carolina and I camped at Lake Mahinapua. I took a “shower” in the lake even though it was freezing. The campsite was really nice with good coverage under trees and the sandflies were also at a minimum—an ever-important characteristic of the campsites we chose during our trip! Most of these were either too difficult to get to by foot, inaccessible at the time, or passed up in favor of other locations or activities. If you’ve been to any of them or seen them, I’d love to hear about your experience! After driving all over the South Island, I realized I had taken photos of many, many beautiful and unique views that also happened to be The Hobbit film locations. The recent Hobbit films featured equally epic locations Carolina and I happened to see on our scout for LOTR locations and while doing other activities around the island. Below are two of the most recognizable. We stopped to take photos of the awesome rock formations spread all over the hilly region on the way out to the Poolburn Reservoir (Rohirrim Village). It just looked like MIddle Earth to us. And we were right! This turned out to be my favorite location on the South Island and we camped here for three nights without realizing its significance. Lake Pukaki was the film location for Lake Town in the new Hobbit movies. Mt. Cook in the background was actually the inspiration for Lonely Mountain which was computer generated for its final form in the films. It was just a stunning location on its own. Looking back, I get all sorts of nerdy feelings knowing I slept there right next to where Smaug was taken down! I loved my visits to Hobbiton, Rivendell, and Mordor (just to name a few) on the North Island. But it's true what they say about the South Island feeling so much more like "Middle Earth." The mountains, valleys, forests, rocky fields, mossy forests, and river canyons stretching for miles without a human or man-made thing in 360-degree sight was just astounding. Not only the views, getting to the locations felt like a Middle Earth adventure on their own. And that's what Middle Earth is all about: The journey there and back again.